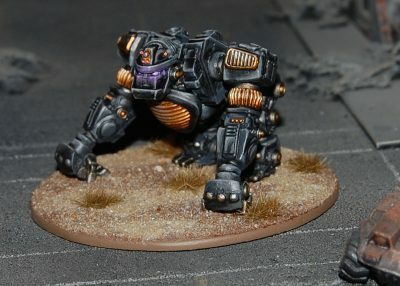 Rebel Minis is proud to announce the release of their newest Animech, The Hunter of the Urban Jungle, the Gorilla Mech! Each Mech is a multi-part kit cast in pewter and supplied unpainted. They do NOT come with Bases! Sculpted by John Bear Ross. Sample painted by Tim Flippo.